What is an implementation strategy? 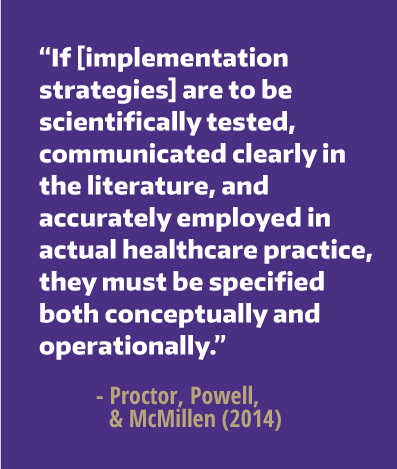 Implementation science is fundamentally concerned with identifying effective strategies for implementing evidence-based interventions. Therefore it is critical to understand what is meant by implementation strategies and evidence based interventions. Implementation strategies are the actions taken to enhance adoption, implementation, and sustainability of evidence based interventions. Evidence based interventions are programs, practices, principles, procedures, products, pills, or policies that have been demonstrated to improve health behaviors, health outcomes, or health-related environments. Evidence based interventions are the what that is being implemented. Implementation strategies are how we seek to get evidence based interventions into normal practice in clinical or community settings. This distinction between “what” and “how” is useful for distinguishing implementation strategies from evidence based interventions. 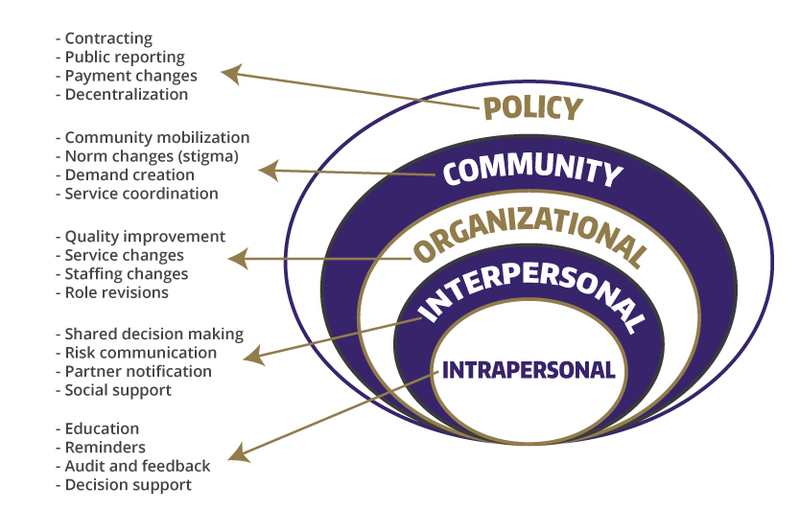 Implementation strategies can target determinants at any level of the social ecological model. Implementation strategies can be a single strategy (e.g. training), or a bundle of strategies to address multiple implementation barriers (e.g. the use of both reminders and role revisions), or blended strategies that are multiple strategies packaged and branded for use (e.g. the Leadership and Organizational Change Intervention). Adapted from Proctor EK, Powell BJ, McMillen JC. 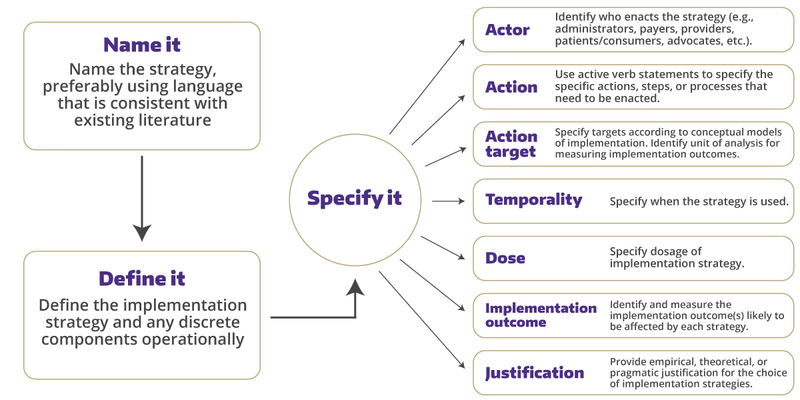 Implementation strategies: Recommendations for specifying and reporting. Implement Sci. 2013;8(139).